National Handloom Development Corporation Limited (NHDC) was set up in February, 1983 by the Government of India as a public sector undertaking under the ambit of Ministry of Textiles, Govt. of India in pursuance of the imperative need for a national level agency to assist the speedy development of the handloom sector with the help of 09 Regional Offices and 37 Branch offices. Corporation is coordinating all actions covering the procurement and supply of inputs at reasonable prices, augmenting the marketing efforts of state handloom agencies and initiating developmental activities for upgrading the technology in the handloom sector and improving productivity. 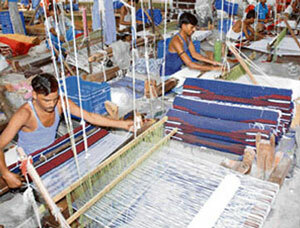 (NHDC), with vision to achieve the objectives of faster more inclusive and sustainable growth of Handloom sector adopted focused, flexible and holistic approach to meet the challenges of domestic, global expansion of overall Handloom market through strategic approach to facilitate the raw material supply to the weavers of the country. 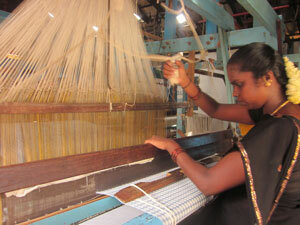 The National Handloom Development Corporation (NHDC) Ltd., has revolutionized the handloom industry by employing multi-dimensional strategies in order to reach not only at the door steps of those weavers who are dwelling in far-flung areas by setting yarn ware houses, allowing weavers share their knowledge by visiting in other states, allotting depots, cluster penetration by judicious use of corpus fund, easy empanelment of mills and development of new products by using different varieties of yarn but also arranging Buyers/Sellers Meet on latest techniques to promote quality, productivity and marketability of handlooms.